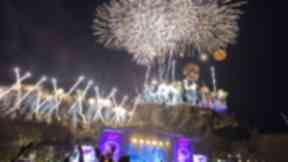 Successful participants will be entered into a prize draw to win the 'Hogmanay of a lifetime'. 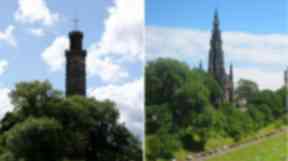 Edinburgh City Council is giving residents the chance to win a "Hogmanay of a lifetime" by challenging them to climb two of the city's tallest monuments. People have between October 8 and December 8 to climb all 430 steps to the top of the Scott Monument on Princes Street and Nelson Monument on Calton Hill. To complete the Monumental Challenge and be entered into the exclusive prize draw, participants will have to get their ticket stamped once they have made it to the top. Climbers could win a package of exclusive experiences, including Edinburgh's Hogmanay Street Party tickets with private access to the Scott Monument on the night. The challenge is designed to encourage residents to rediscover and explore Edinburgh's historic landmarks. Councillor Richard Lewis said: "Anyone who has climbed these monuments before will know this is a challenge worth accepting. "The journey to the top is, quite literally, breathtaking. "While it might not be for the faint-hearted, the rewards are spectacular 360 degree views across the city." Climbers are also in with a chance of winning afternoon tea for two at Edinburgh Castle, an exclusive bottle of Scotch Malt Whisky and a £100 shopping spree at Cranachan and Crowdie on the Royal Mile. Al Thomson, director of Edinburgh's Hogmanay at Unique Events, said: "We're thrilled to support the Monumental Challenge, giving someone the Hogmanay of a lifetime with this truly unique prize." Participants in the challenge are encouraged to post pictures of their progress online using #monumentalchallenge. Winners will be announced at 5pm on December 12.